Looking to cash in on China’s increasing interest in private islands, the government of Fujian Province has this week singled out as many as twenty state-owned islands to go to public auction. Hoped to attract international tourism investors to the region, the islands will be made available on a strictly leasehold basis of up to fifty years. According to a statement released by the Fujian Provincial Department of Ocean and Fisheries, interested parties must be prepared to invest an astonishing USD 80.27 million over the course of the fifty year leasehold, equating to an annual investment of almost USD 8 million. Close to the mainland and boasting “good terrain,” the islands will soon be offered at open public auction, according officials at the State Oceanic Administration. The lucky bidders will then be required to start construction within a year of purchasing the leasing agreement, with the aim of completing all infrastructure projects (such as ports and buildings etc.) no later than three years after signing the contract. Whilst the authorities are keen to promote the islands’ potential (an article by China Daily reports that the islands are capable of hosting high-end tourist resorts, golf courses, yacht clubs and much more), developers must first submit detailed blueprints of their plans for the islands to the local ocean and fisheries bureau to ensure that they adhere to the country’s strict Island Protection Law. 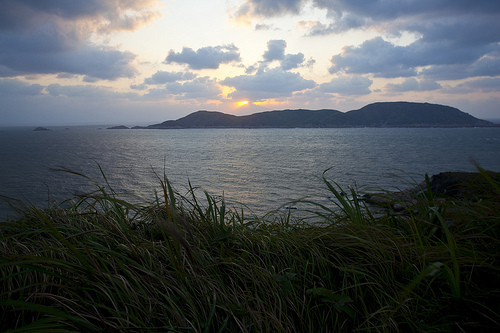 The development in Fujian is by no means the first time that a group of Chinese private islands have been released to investors. In 2011, China released a list of as many as 176 uninhabited islands open for development. As reported by Private Island News in March earlier this year, authorities in nearby Guangdong Province released a series of islands, earmarking a further 60 potentially lucrative islands for future leasing opportunities. Private island ownership is no plain sailing in China. According to Zhang Yechun, professor at the South China Sea Institute of Oceanology, the sheer quantity of laws and regulations present a serious stumbling block to would-be island owners. This was certainly the case with painter Zhu Renmin – China’s first ever private island owner – whose leasehold agreement for Lotus Island very nearly fell through after meeting a bureaucratic deadlock. Perhaps it’s little wonder that despite having approximately 9,000 uninhabited islands on their doorstep, Chinese investors are looking overseas to develop their own dream islands. 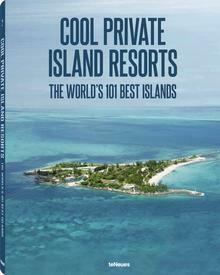 After selling their first island to a Chinese buyer in 2013, international island brokerage Vladi Private Islands is reporting exponential growth on the Chinese market, with scores of buyers turning to their Shanghai-based representative China New Frontier Limited in an attempt to avoid the paperwork involved in an inland purchase. To find out more about China New Frontier Limited and to view their expanding property portfolio, click here. Alternatively, to have your say about the China’s private island boom, head over to the Private Island News Facebook, Twitter or Google+ page.